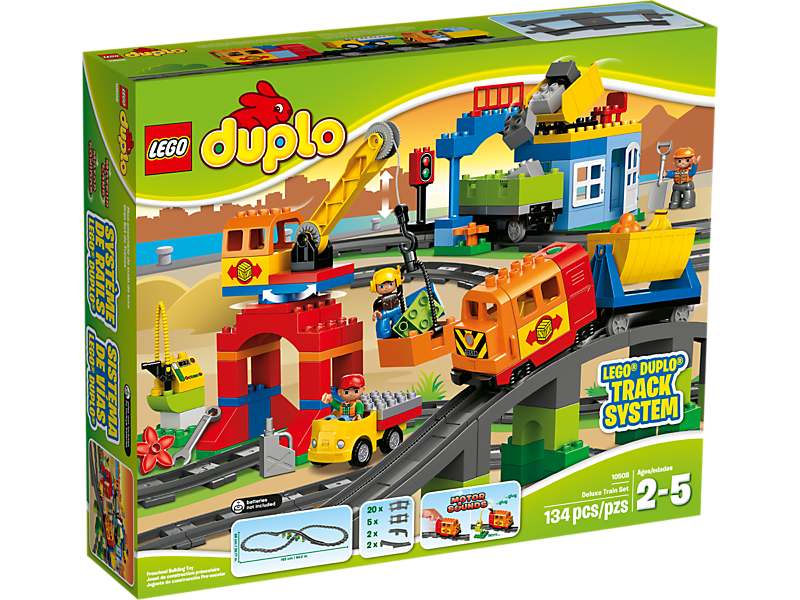 Take LEGO® DUPLO® train building to the next level with the Deluxe Train Set featuring a cool modern train! 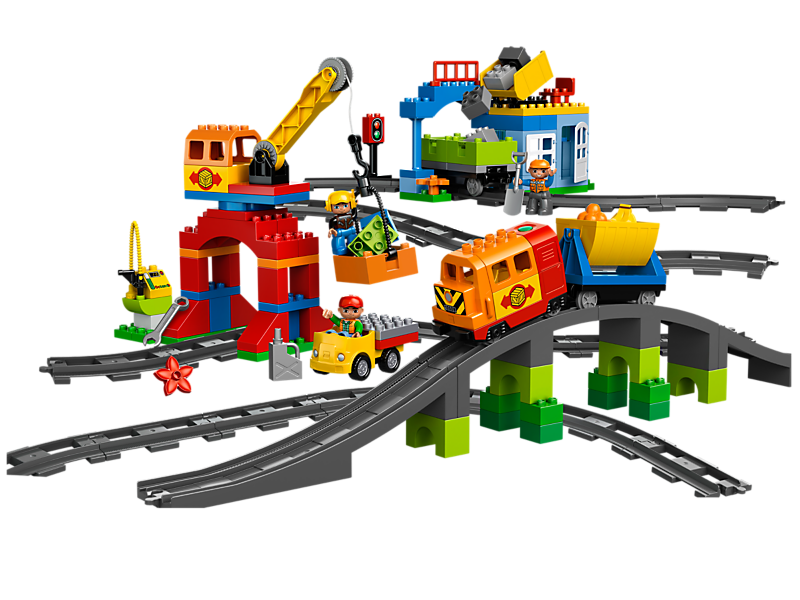 Jump aboard the locomotive with real sound effects and fill up the wagons with rocks at the quarry. 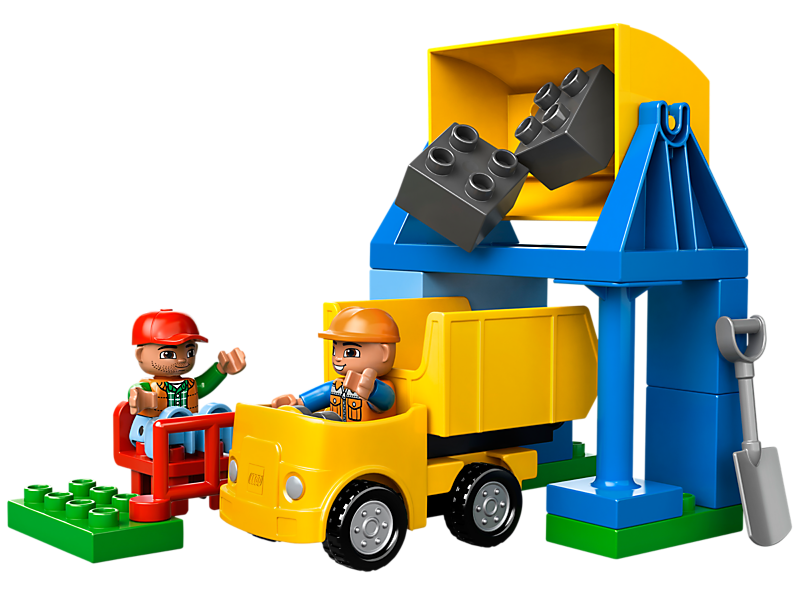 Then unload them with the working crane before fueling up for the next trip! 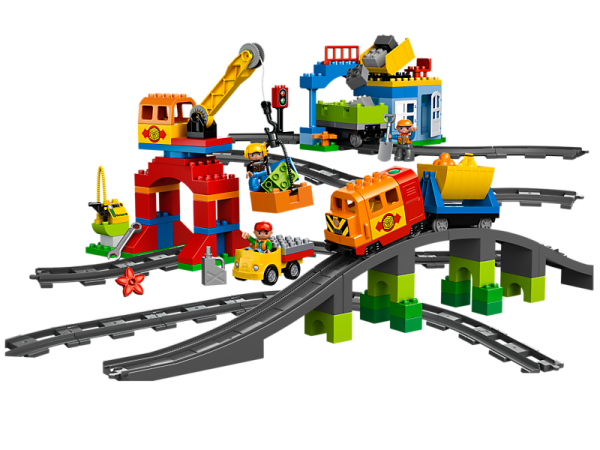 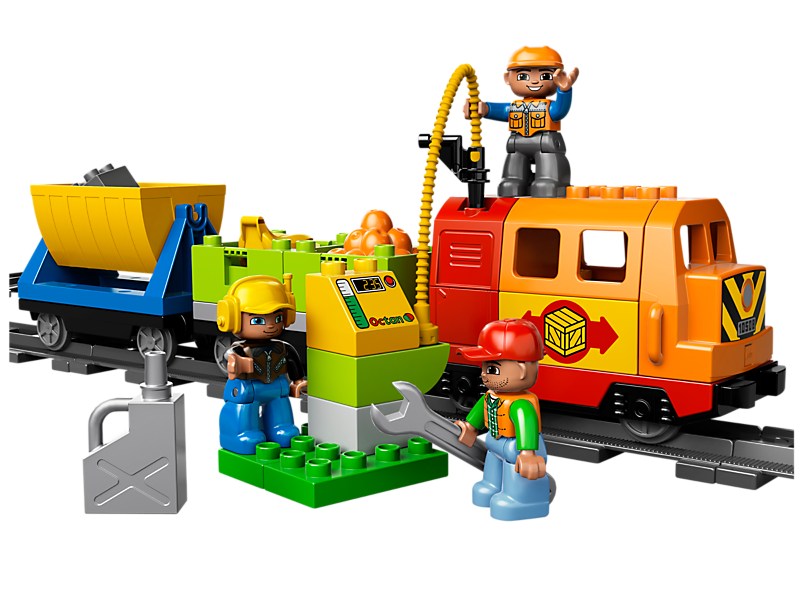 Set features more than 64 inches of track, a bridge with tunnel, truck, DUPLO-brick stone quarry, building with working crane and lots of colorful DUPLO elements and 3 DUPLO figures. 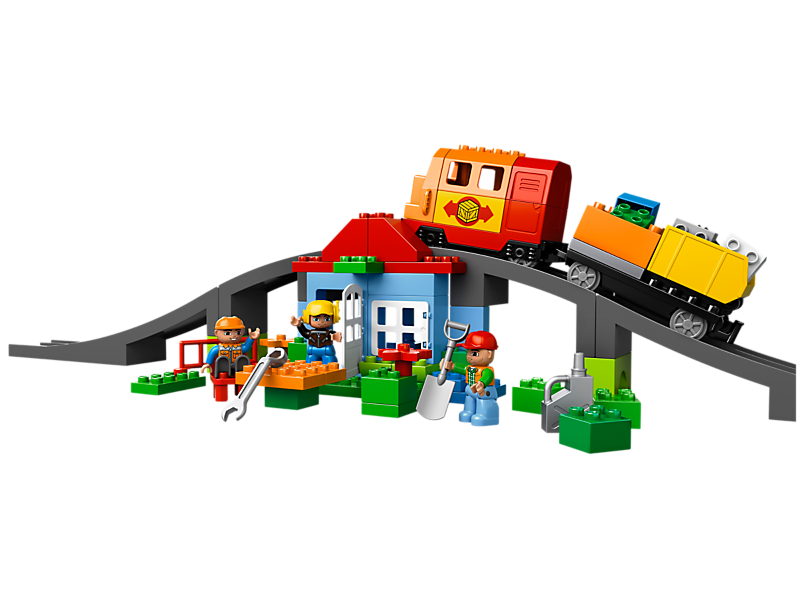 Drive over the bridge and through the tunnel• Refuel the train and hear the real sound effects!